The Health Economics Common Fund program at the National Institutes of Health (NIH) aims to support theoretical and applied research to understand how innovations in treatments, diagnosis, and preventive strategies can be most effectively deployed to improve health and wellbeing. RLA provides ongoing committee and project management as well as meeting logistics and report writing services to the Health Economics Working Group. 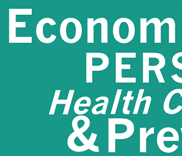 As part of its ongoing support of the Health Economics Common Fund program, RLA helped NIH staff plan and execute a teleconference on the economics of personalized health care by providing services such as communicating with invited experts, commissioning papers, and drafting and producing a conference summary. Through RLA networking, the group partnered with the editors of the journal Forum for Health Economics & Policy to produce a special issue on the topic of Economics of Personalized Health Care and Prevention. RLA served as the primary liaison between the managing editor and NIH staff, edited and formatted manuscripts, and coordinated all aspects of the project over a period of several months. The special issue was published in July of 2013.